If you like terrifying rides this glass bottomed balloon will definitely get your adrenaline pumping. 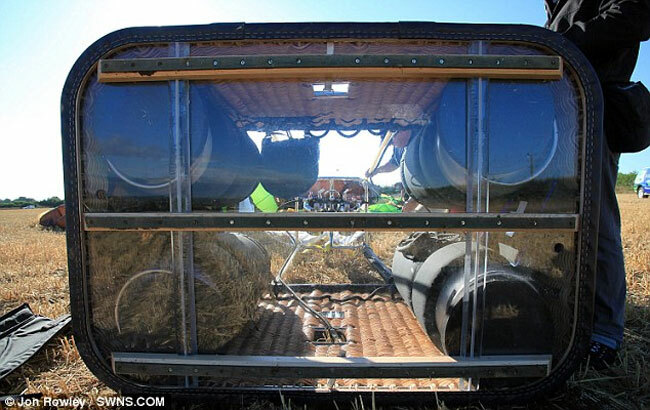 Designed by Christian Brown, (the pilot who travelled around the world in a balloon with Sir Richard Branson) the glass bottomed balloon is thought to be the worlds first. Even Brown with 18 years experience and holding the tethered altitude world record at 10,000 feet, says the experience of flying his new glass bottomed airship was terrifying. Check out the glass bottomed balloon’s maiden voyage after the jump. We’ve done tethered trials before, which usually end with passengers shrieking and screaming in fear, but this is the first time we’ve actually taken to the skies unaided. 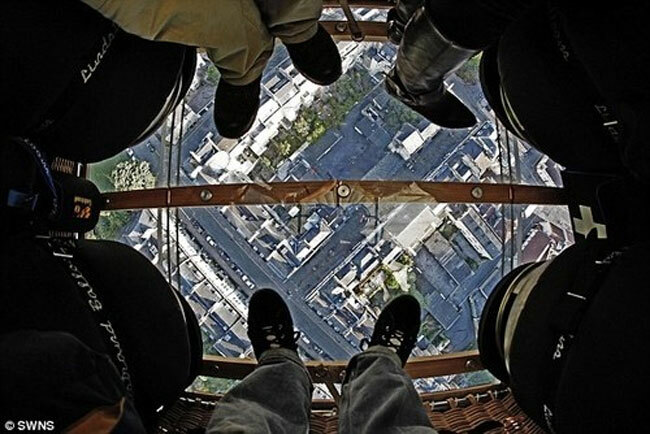 Ordinarily, you would look over the edge of the basket to peer at the ground below but there is something very disconcerting about seeing it right beneath your feet.